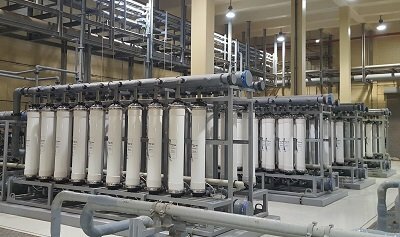 The 1.9 MGD treatment plant consisting of dissolved air flotation (DAF), ultrafiltration, and first and second pass reverse osmosis systems has been completed and signed off by our client after successful operational testing. 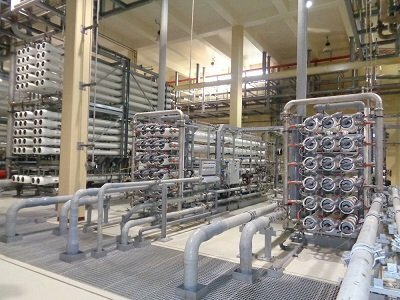 The project is located at a major power plant in the Red Sea region of Saudia Arabia and treats seawater to produce high quality drinking water, utility, fire suppression and service water within the plant and feed the demineralized water system. 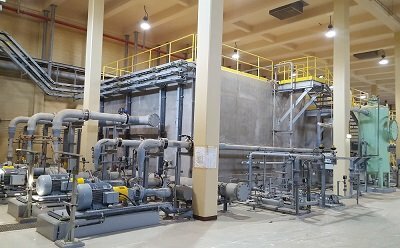 Pretreatment is provided by the DAF and pressurized UF system then filtered water is fed to the seawater RO system and second pass brackish water RO unit. SafBon Water Technology provided the design, engineering, fabrication, commissioning and testing of the system. We provided the client unsurpassed on-site field service support through operational challenges experienced after start-up. SWT remains steadfast in our commitment to the successful operation of all our installations and supports our clients with all the resources at our disposal.